Much love for my penguin card I received. This is our first Valentine's day as a married couple, its no different really. We don't really celebrate valentines day. I don't like the over priced flowers and busy restaurants. 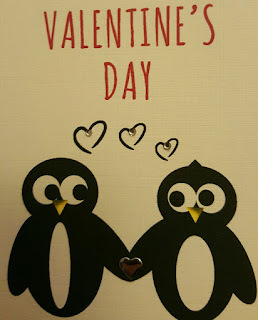 We just gave each other a card. I was in the supermarket yesterday buying cake ingredients, the man behind me was buying, a card, roses, teddy bear and chocolate. Very cliched gifts he probably got the idea from TV that is what women want he thought. When all we want really is a break from the housework and a nice hot bath. 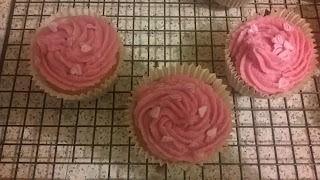 I made some cupcakes yesterday and they turned out much better than my Cake I made last week! They rose to double the size in the oven. I piped pink buttercream on the top of my cake and added sweet heart decorations. 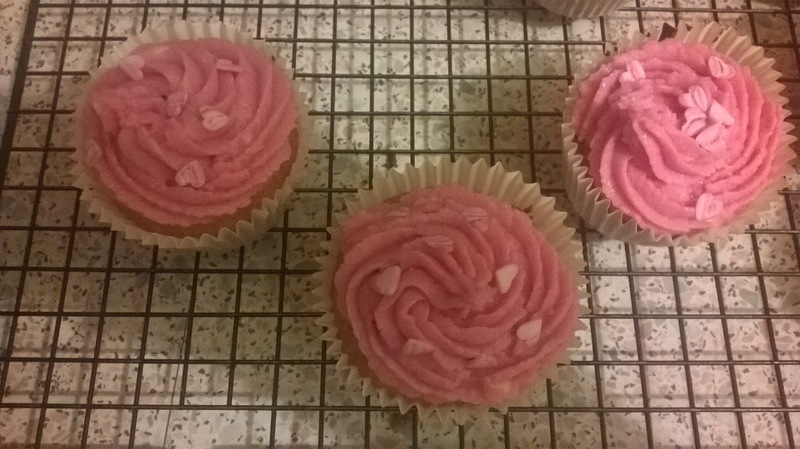 I learnt the piping technique from my hen do, a cupcake decorating class. They look good and taste yummy. Watch out Mary Berry!